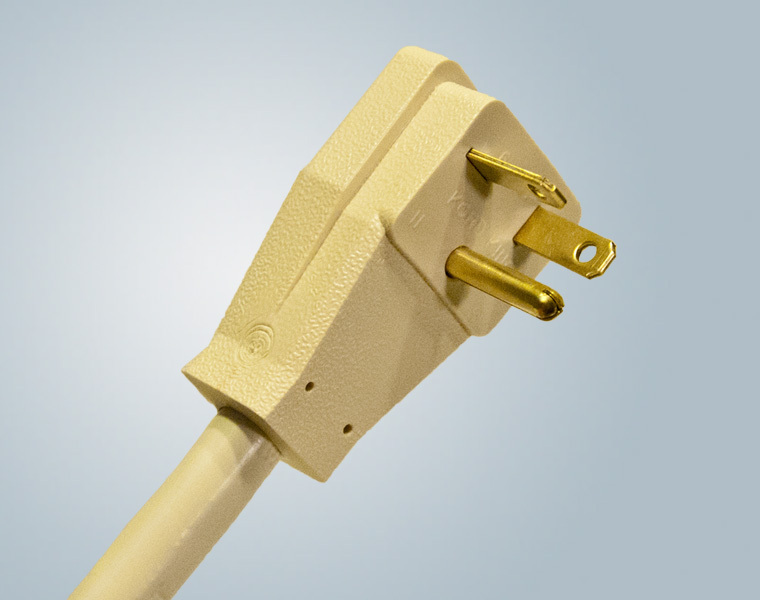 Heavy duty right angle power cords and cordsets are designed for applications where durability and reliability are critical. Ideal for virtually any large appliance, heavy duty right angle power cords and cordsets are often found on vending machines, HVAC and geothermal heating systems, electric car charging stations, medical refrigeration equipment and food service preparation equipment. Right Angle cords and cordsets can be molded with offset contacts at 45, 135, 180, 225, 315 and 0/360 degrees to meet your specific needs. Two options are available for the grounding pin position – you can elect to have the grounding pin molded at the bottom or the top of the plug face. These cords are offered in a 3-wire configuration as either NEMA 5-15P, 5-20P, 6-15P or 6-20P. 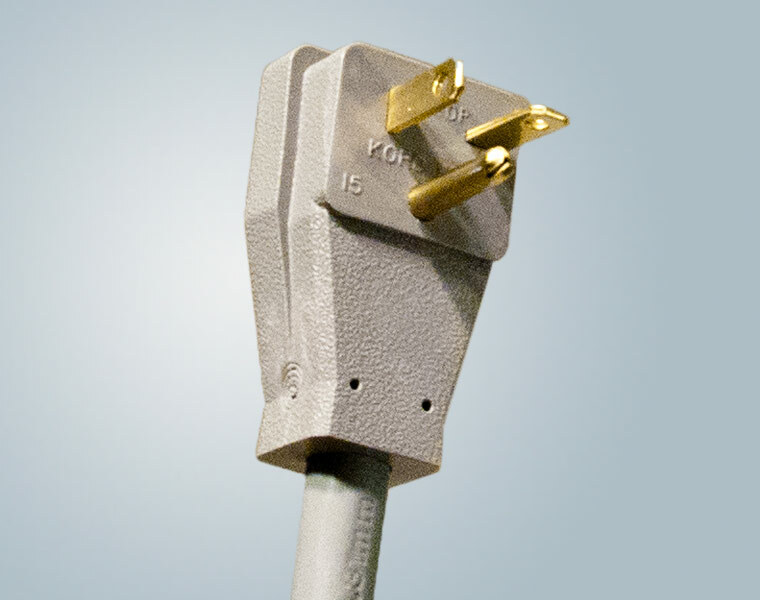 Since Right Angle cords are designed with the cable portion exiting the plug at 90 degrees as opposed to the standard 180 degrees, little clearance is required. 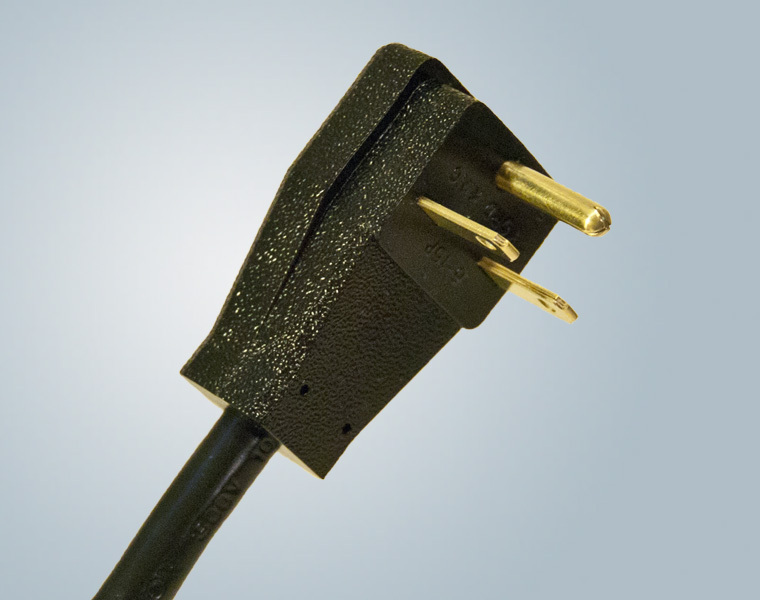 This design feature helps to save space and prevent unwanted damage to the plug and receptacle. 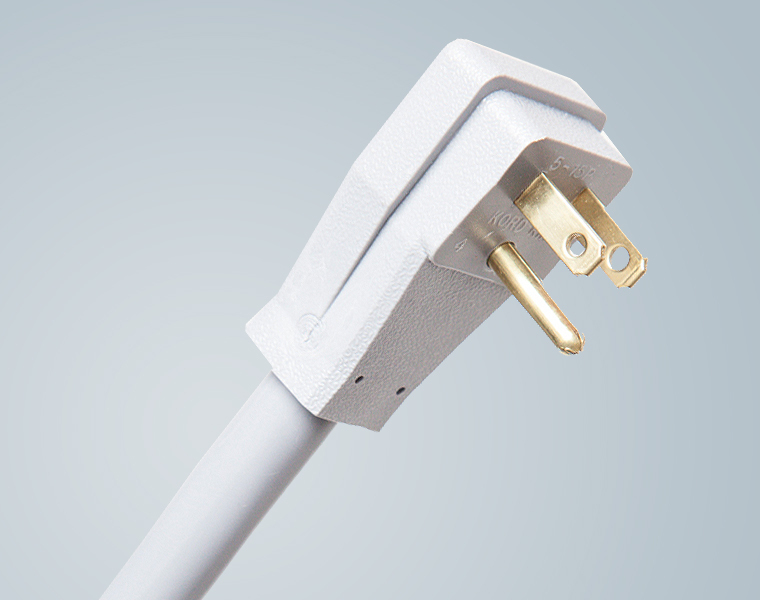 Heavy duty right angle power cords are molded with an ergonomic, extra-large plug head and deep contoured ridges for non-slip handling, making installation quick and easy. Kord King’s heavy duty right angle power cords are U.L. listed and C.S.A. 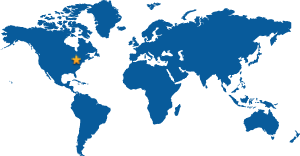 approved, so our customers know they are receiving a reliable product that won’t fail. A wide selection of wire types and colors are available, cords and cordsets can be ordered for 10, 13, 15 and 20 Amps and 125 to 250 volts. Please see our technical data summary table for a list of configurations. Kord King offers short lead times, often fulfilling orders within 2 weeks with reasonable minimum order quantities. Kord King products are built in the U.S.A and are U.L. listed and C.S.A. approved, RoHS and Prop 65 compliant. Call Kord King today at 800.818.4916 for any of your Heavy Duty Right Angle cord or cordset requirements, or use our convenient online contact form.